Great outfit. Also looks like you were at a beautiful place. 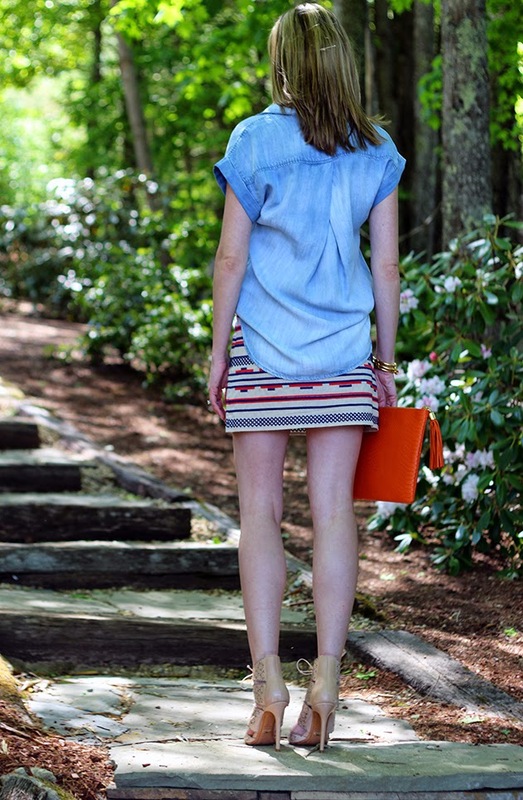 Beautiful chambray! For as much of a wardrobe staple as they are, I totally know what you mean about them being hard to fine. They are tough to find the right one. This looks so great with your skirt and beautiful shoes. Way too cute! 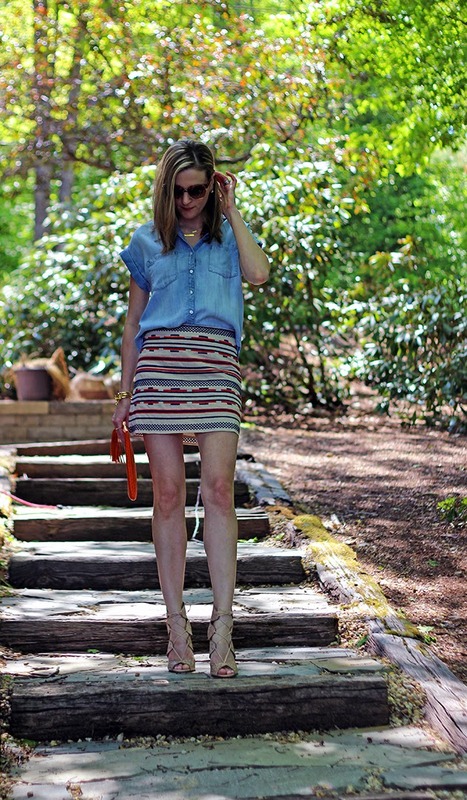 Loving that skirt with relaxed chambray top and I am swooning over those lace up heels! Gogroeus!